Maybe they won’t be the next Beethoven, but there are many benefits to playing the piano. Children may have an easier time learning maths, improve their attention span and increase their self-confidence. Social and teamwork skills can improve along with memory and co-ordination, which all benefit your child’s education. Most importantly there is huge enjoyment and sense of achievement in learning and performing music! Studies have shown that along with all the other benefits, a child’s IQ can increase with the learning of a musical instrument and the same is true for the more mature person too. Research with a group of 60 to 83 year olds showed significant differences in cognitive test results compared to non-musicians and they were able to take on new information more easily. 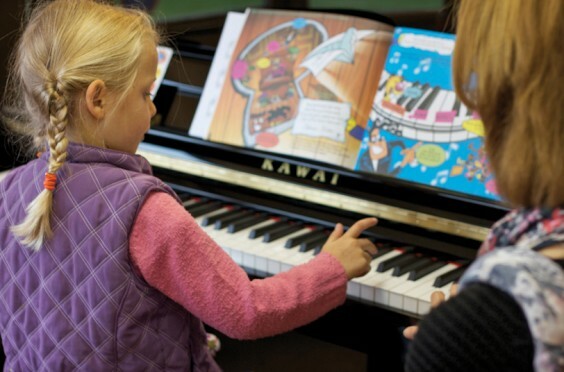 Learning the piano really is a wonderful way of keeping mind and body active. Choosing the right piano for you can be overwhelming, but the friendly, knowledgeable team at Vale Pianos have a comprehensive selection of over 100 new, pre-owned and digital pianos on display. Come along to Vale Pianos on the Throckmorton Road between Pershore and Evesham on the A44 (WR10 2JY). There is free on-site parking and a picnic area overlooking the lovely Worcestershire countryside.